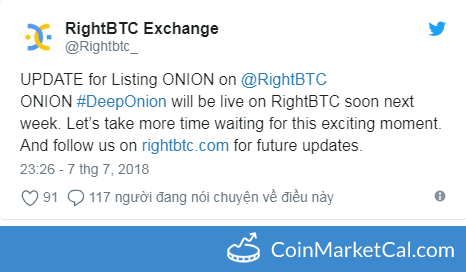 "ONION #DeepOnion will be live on RightBTC soon next week." "The Launch of DeepSend - our next level in blockchain anonymity in crypto world." 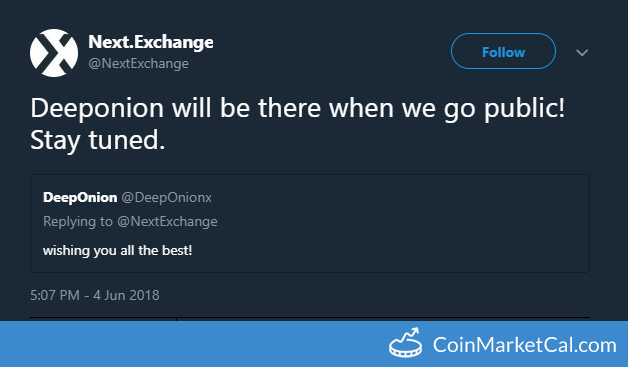 Next.Exchange will list DeepOnion when it goes public (expected by end of Q2 2018). 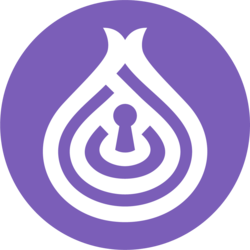 After fork succeed on block #540 000, Stealth Addresses are now activated. 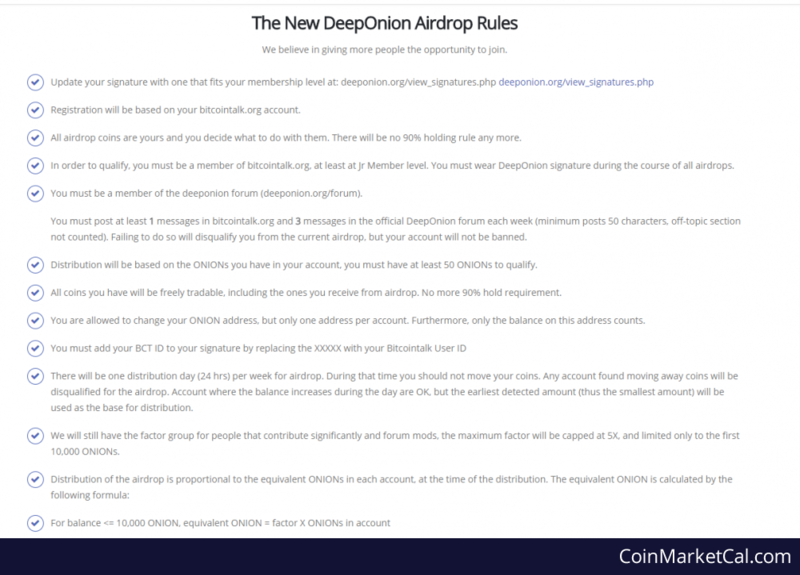 "Launch Mobile Device Wallets (iOS, Andriod)"
Airdrop for DeepOnion members weekly. Time: 5:30pm EST - Prizes: 2000 Onions worth of prizes. "Our next level in blockchain anonymity in crypto world"